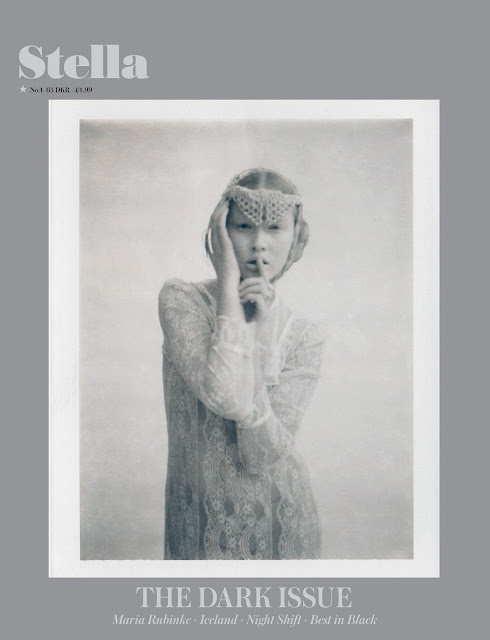 Stella magazine: Stella no.4 out soon! Our fourth issue of Stella magazine, The Dark Issue, is out on the 26th of March. You might think that ‘darkness’ is quite a sombre theme for the spring issue of Stella Magazine, but the stories are not about death, evil, metal and goth as one might expect. Instead we have focused on the light side of darkness – different shades of grey where melancholy resides – a place from which a lot of grand art has originated. In the issue you will find an interview with the Danish artist Maria Rubinke, an article about music from Iceland and a delicious recipe for a the darkest chocolate cake, plus lots of other good stuff. How exciting! I can't wait to see it!